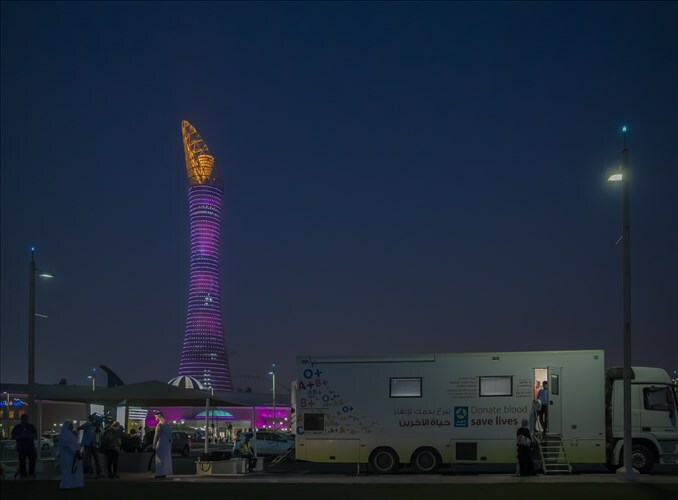 Aspire Zone Foundation (AZF) and Hamad Medical Corporation (HMC)’s“Donate Blood, Save Life” public donation campaign has been a huge success, attracting a large turnout on Wednesday and Thursday of last week. Recent studies show that blood donation has many health benefits, as it helps prevent cardiac disease, reduce cancer risks, and renew red blood cells. It also improves blood circulation and reduces unnecessary iron levels in blood. Walid Ghalib, one of the donors at Aspire Park, has donated his blood for the first time and said: “It’s a great idea to provide mobile donation units at popular places like Aspire Park. Some people might find it inconvenient to go to the hospital and donate, but whenever they see the donation unit they would be totally encouraged to donate. I urge everyone to be positive, take an action, and save a life”. This campaign also represents another example of AZF’s support for Qatar’s medical organisations and HMC as they seek to provide uninterrupted blood supplies for critical patient needs and promote a culture of blood donation amongst all members of the community.